Olive oil is both an excellent cooking and flavouring ingredient. It can be used for just about everything, from deep-frying and bread making, to salad dressings and pasta toppings—or even just to add a touch of flavour to cooked dishes. It is always important however to match the right type of olive oil with each dish: sweet oils mix better with salads, fish and chicken breasts, while more bold flavoured oils blend better with hearty soups and barbecued meats. As is true with most foods, olive oil is best when fresh. To maintain its freshness and guarantee quality after opening keep it away from heat and light by storing it in a cool, dark place. Olive oil should not be stored in the fridge as it may solidify, this however can be easily remedied by removing the oil from the cold and letting it sit at room temperature until it liquefies. Experienced cooks experiment with different styles and flavours of olive oils to get the best effect. Remember that heat brings out the flavour of olive oil, so it will smell and taste stronger when poured over hot food. 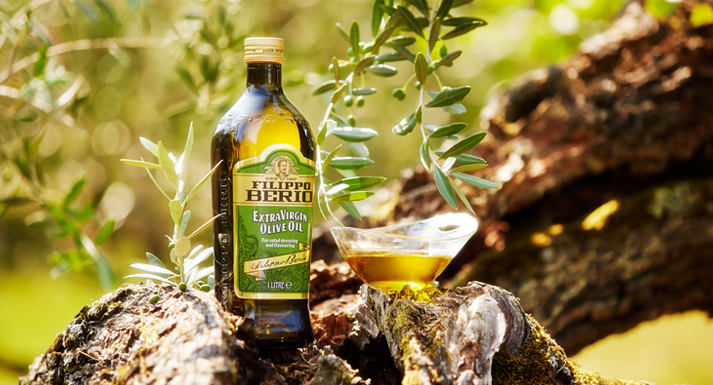 Try flavouring your favourite dishes with one of our Filippo Berio olive oils to achieve taste bud heaven!